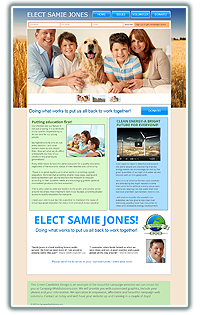 Environmental conservation and advocacy websites. 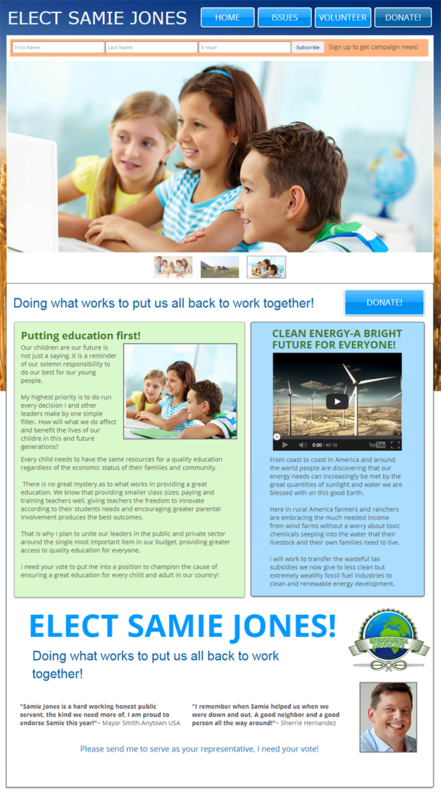 This issues advocacy website is an example of a simple compelling website we could produce to help candidates and causes who are working on the front lines of the climate change issue. We will help you get subscribers to subscribe to your MailChimp or other newsletter so you can bring your message and news to them and get them involved in your campaign. We will add your Youtube or Vimeo videos to help you tell your unique story to people who want to contribute to your campaigns success. 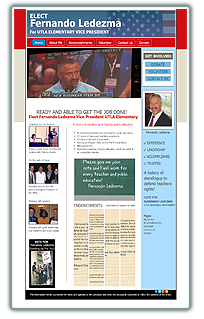 If you are running for office in local, state or federal races or working on non profit campaigns to take action on the most vital issue of our day, we will be here to help you with a website that gets your message out and your people into your campaign!